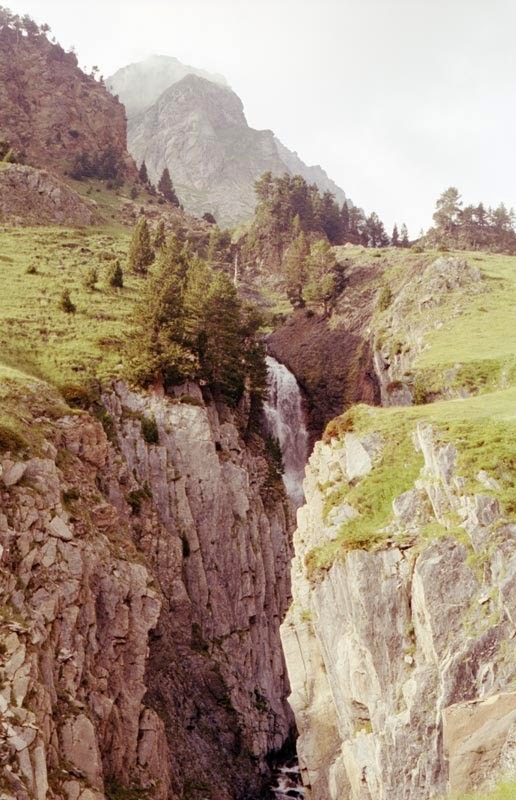 Back in the early 90s I bought my first SLR, a Nikon FE, and took it with me on a two week solo hike in the Pyrenees (mainly on the Spanish Side) but which ended at the Cirque de Gavarnie. The hike was a tough one in June but I remember the alpine pastures carpeted in flowers. Unfortunately I clearly hadn't got the hang of the Nikon as most of the frames are out of focus in this film. I have no recollection of where this image was shot but it is about the only useable image in this film. Luckily I did get the hand of manual focussing pretty quickly. As a postscript I sold the FE a couple of years ago but am about to swap it for Hasselblad A12 back. The Nikon is still going strong after more than 25 years. I doubt they'll say that about a D3.